processing, 24/7 customer support and much much more! With extensive industry knowledge and the latest technology practises, our professionals at Ace eComm are perfectly trained to cater to your osCommerce Product Data Entry requirements. We have worked on a diverse range of products such as Baby Products, Fashion Apparels, Cars and Bikes, Electronic Equipments, Jewellery, Automotive Ancillaries, Computer Parts, Books, Health & Personal Care, Industrial Products, Luggage & Travel Accessories, Musical Instruments, Home & Kitchen, Footwear, Stationery Items and many more! We can upload significant product information like title, SKU, description, weight, dimension, price, images on your osCommerce Shopping Cart. We help you add and create new categories and subcategories on your osCommerce platform. Our professionals will meticulously classify your products so that your potential clients are able to find them effortlessly. Our Image Editing team has the ability to convert raw images into strikingly beautiful and crystal clear images. A visually attractive image alongside the product will create a positive impact on your buyer’s eyes. We also customize the attributes of your products to offer your buyers a more user-centric experience. We define your products by adding attributes such as weight, colour, dimension, model no. etc. We timely update stock information and ensure that out-of-stock products are listed as out-of-stock. We also help you with bulk product uploading with the use of sophisticated softwares such as Turbo Lister, Auctiva, InkFrog, and CSV files for Amazon. We also create eye catchy and original product descriptions and titles. While doing so we strongly adhere to search engine benchmarks by making them SEO friendly. 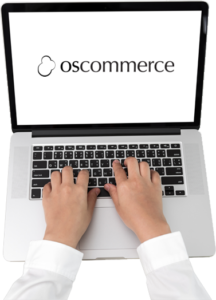 We also provide complete osCommerce Back Office Solutions which consists of product uploading, product categorization, product page URL rewriting, price comparison, competitor price analysis, email chat support, order processing, order tracking etc.